The 18th annual March for Violence-Free Communities was held on Monday evening in Farmington. Participants carried signs to raise awareness of different forms of abuse. FARMINGTON - About 30 people, some carrying signs against violence, marched south on Main Street in the 18th annual March for Violence-Free Communities. The annual event is organized by the local Sexual Assault Prevention and Response Services is to raise awareness of sexual assault, sexual abuse and other forms of violence. 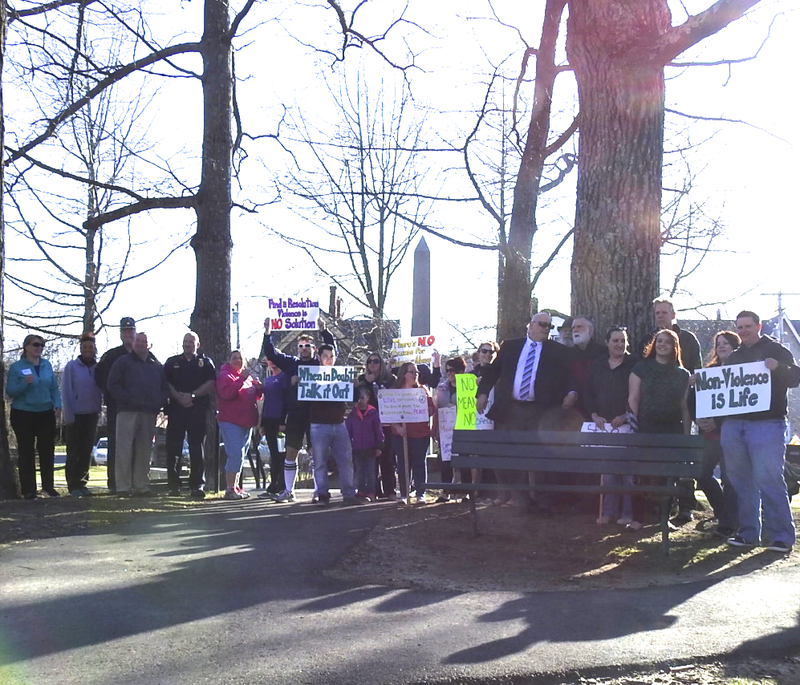 The march was followed by a speak-out at the Old South Church, which offered a chance for those participating to talk about their thoughts on issues of violence. University of Maine at Farmington students, local residents and law enforcement officers joined in on the march. 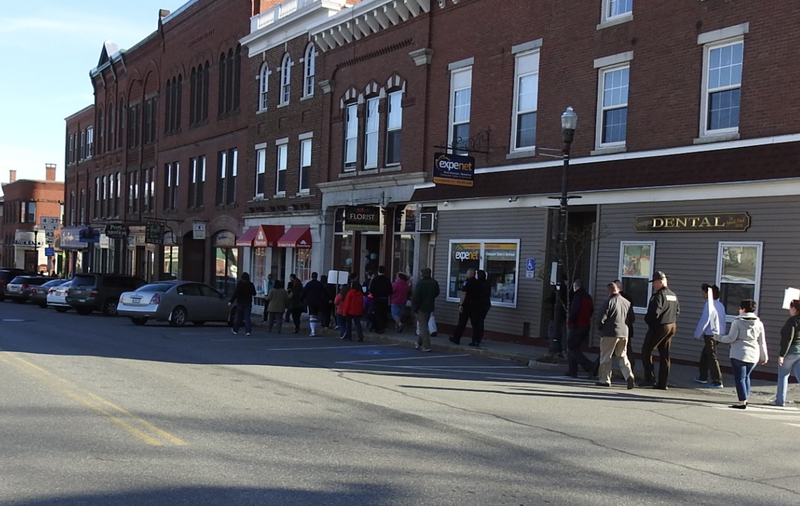 The march down Main Street in Farmington was followed by a speak out at the Old South Church, which offered a chance for those participating to talk about their thoughts on issues of violence.